Looking for more information about justice reform initiatives in Virginia in 2018-19? 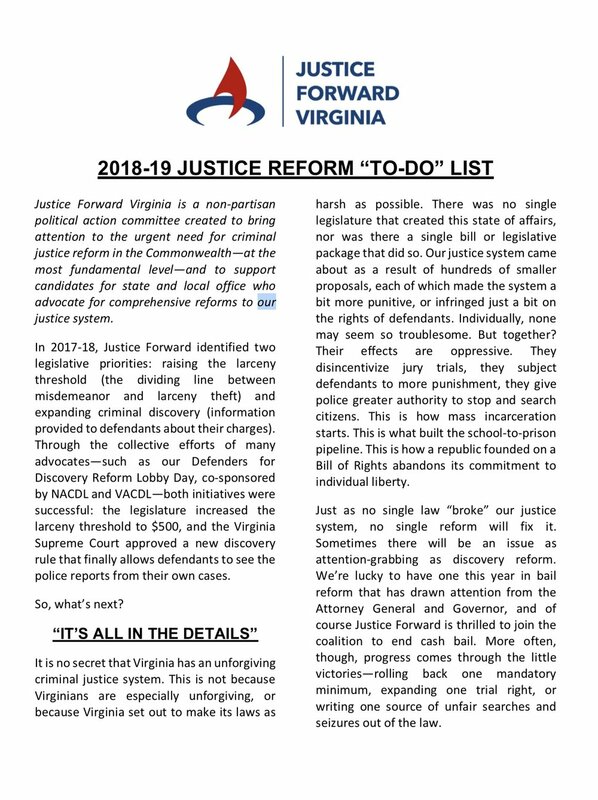 Look no further than our “Justice Reform ‘To-Do’ List,” now available as an updated PDF. We’ll be discussing a number of these advocacy priorities at our Justice Reform Kickoff Party on Monday, October 29, and our “To Do” List is a great primer.